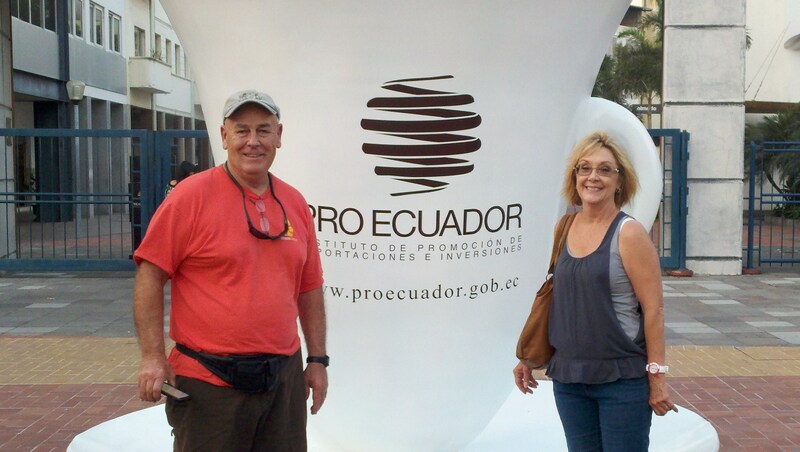 It’s hard to believe that it’s been almost 2 months since our trip to Ecuador! It has taken us all this time to recover! What a wonder trip it was! We drove and drove and drove some more – I think we put close to 3000 miles on the rental car. However we still missed seeing alot of things – we have decided that when we come back we’ll stay in one area and do day trips from there. We spent a lot of time trying to get from one city to the next – not realizing that what would typically be a 2 hour trip would take 4! We started in Guayaquil – stayed there for 2 days and then left for Salinas – then onto Manta. We spent several days in Manta – going up and down the coast. We made it to San Clemente but unfortunately we kept missing you guys! We left Manta and drove across to Otavalo, spent 2 days there and then headed south. We made it to Banos, Tena, Cuenca (all places in between) and then headed back to Guayaquil for our flight back. I would say the hardest part for us was getting into a city after dark and not having a place to stay. We had bought a cell phone to use but unfortunately we couldn’t get it to work when we reach Otavalo. And the directions were in Spanish! We had a GPS which would pull up the names of hotels, etc but some of the places you wouldn’t want to stay in! We met a young man who spoke English and he actually gave us the name of the Hotel Indio. It was right downtown and a really quaint hotel. Our next hardest part was coming into Cuenca. We went to a hostel that was listed in the tourist book but they were full. Again with the handy tourist book, the lady at the hostel made some calls for us and found a hotel in historic Cuenca . But that took us about 2 hours to find! All those one way streets! At that point we just wanted to throw the GPS out the window – it kept taking us to a dead end street! While in Cuenca, we just parked the car and took a taxi. It was nice to let someone else drive who knew where they were going! Not a problem driving – just expect it’s going to take longer to get where your going! Get all the insurance on the rental car you can – we ended up with huge scratches on the right front and rear door panels – almost like a scooter just ran up and scraped it. Go Big with the Car! – we wanted a smaller car but they didn’t have one available. We ended up with a Ford Explorer. We came to appreciate the larger vehicle for comfort and acceleration! When you end up not seeing those “sleeping policemen” bumps in the road you’re glad you have a little more cushion under you! Also it’s much easier when driving in the mountains to have a little more power to pass all those buses and tractor trailers! Buy a cheap phone – but be sure you understand how it works – it ended up that ours had 2 lines, some how it had gotten switched to the second line and it was telling us that it was for emergency only. Take some snacks – all that time on the road – yes, you go through lots of towns but how brave are you when it comes to eating from a roadside stand? After Roy’s bout with bad seafood in Salinas, I was very apprehensive about eating. We both lost weight! The little mini stores will have some things, but mostly the banana chips or sugar wafer cookies. Take some toilet paper! – I took your advice Nan…you had written on one of your blogs. Good idea! TP is not available in most of the gas station rest rooms. Also good to take are wet wipes – nice to have something to wipe your hands with while on the road. Take an IPAD or something that you can use to translate with. Even though you don’t have internet access while driving – I had downloaded an English-Spanish app and kept busy looking up words that we would see on signs. Good way to help learn the language! Take lots of 1$ ..coins or bills. You’ll need them for all the toll booths. In general, small bills are better. We only used the credit card for car rental and hotels. We are both ready to go back – we were able to get a really good feel for the country but we would like be able to enjoy more of what the country has to offer. At this time we are undecided as to whether it is the place for us to retire – I say “we”…it’s more me. Roy would move tomorrow. I’m worried about the logistics of being able to spend time with my grandson and daughter, and the rest of my family. Bringing the dogs, we have 2 Yorkies – what would I do with them if I come back to the States for a couple of weeks?? Roy tells me I worry to much – he’s probably right! Keep posting Nan! I love the day to day postings you do! I had to laugh when I saw your posting about the tenderloins…That was one of the first things I noticed about the meat there…always seemed a little tough. I better get back to work before my husband fires me! Take care and I do look forward to our next trip and being able to meet you guys! Thanks so much Liz for your comments, these are things that every traveller should be aware of and even folks like Joe and I could use this information after living here. 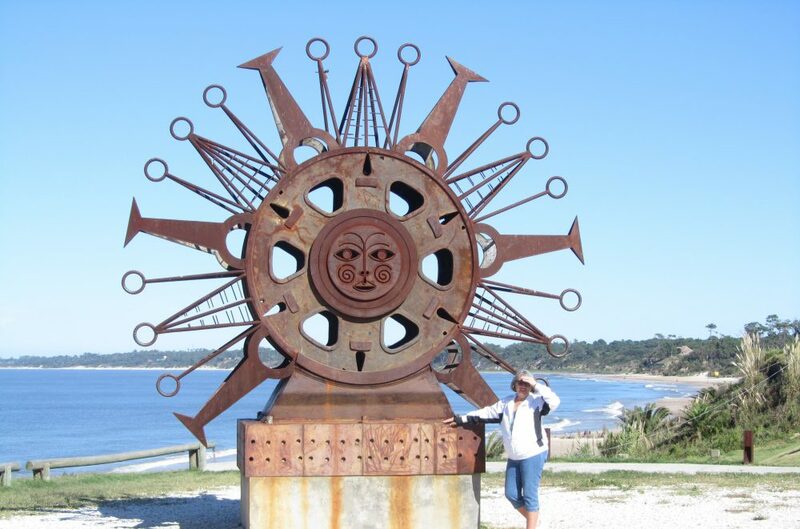 This entry was posted in Ecuador and tagged Ecuador, Expats, Retired, South America by Nancy Levin. Bookmark the permalink. Having just finished a drive-through with my friends, I smiled (and agreed) many times as I read this! My friends and I revisited some of my favorite places, and we still got lost! missed turns, veered off on a wrong highway, etc! Of course, unless this happens after the sun has set, it’s nice to go on a road less traveled and see where it leads! Thank you, Nancy, and thank you, Liz! great blog with lots of excellent information…it amazed us that Liz and Roy rented a car for their travels..after being here 11 months, still not comfortable doing that. So nice to see this post! My sister and I are planning to come for our first visit after Christmas sometime (want to avoid the numerous festivals so have a place to stay) We were trying to decide on where to use as a base. Z’s experiences with trying to see as much as possible in a short time has helped us to decide that that’s the best route. Now, just to decide where and when and whether or not we want to rent a car for day trips. Always so nice to read your blogs. Keep ’em coming!